Preheat oven to 325°F. 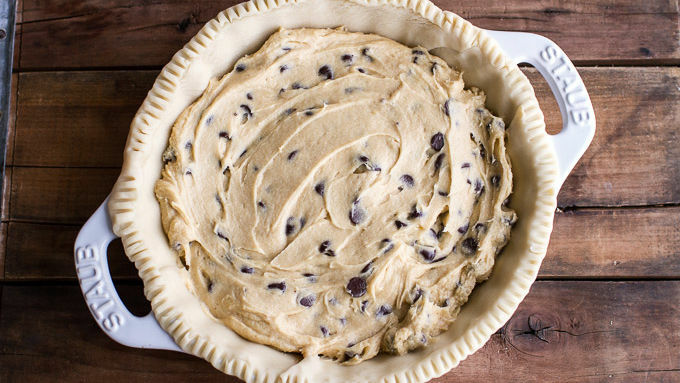 Roll the dough out and press into greased pie plate. Beat eggs in large mixing bowl on high speed until foamy. Beat in flour, granulated sugar and brown sugar. Beat in the butter and vanilla. Stir in chocolate chips and nuts. Pour batter into the prepared pie shell. Bake for 55 to 60 minutes or until knife inserted halfway between edge and center comes out clean. Cool on wire rack. Serve warm with ice cream and drizzle of salted caramel sauce, if desired. Use the extra pie crust in the package to cut out mini holiday-shaped cookies. Sprinkle with cinnamon sugar or colored sanding sugar and bake. These are the perfect garnish for your pie! Such a great pie. Such an EASY pie! I'm so excited because today we are talking about one of my favorite desserts. 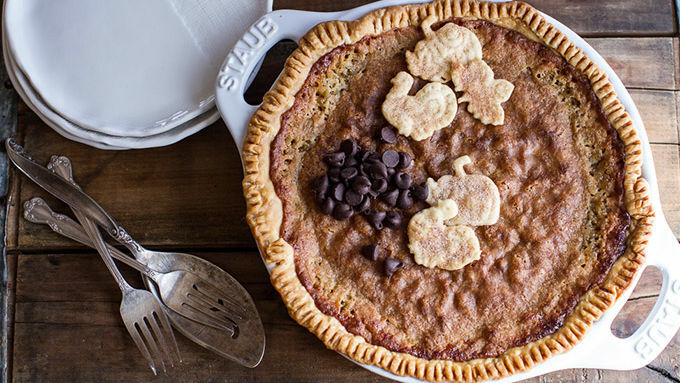 Today is all about the classic chocolate chip cookie pie. It was often made while I was growing up, especially on Thanksgiving, and most definitely on Christmas. 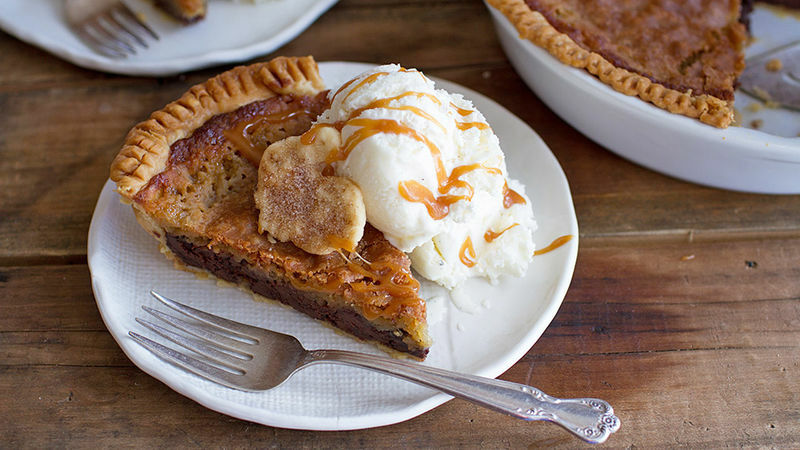 This pie holds so many memories for me, plus it’s downright delicious! Our family really isn’t big on fruity pies. I think even my mom would agree that she is mostly to blame. For my mom, dessert isn’t dessert unless it includes chocolate, so naturally I picked that up. That meant our holiday pies were either chocolate chip cookie pie or chocolate pecan pie. Most time it was both – that’s just what you do during the holidays! When I started cooking and baking, this was one of the first pies I made. It’s SO easy that I got it right the very first time. My only little secret is to add vanilla extract. I swear, adding just a little vanilla makes all the difference. Oh, and double the chocolate. It’s just the way to go. Serve warm with ice cream and a drizzle of salted caramel sauce, if desired.